Brunswick Boat Group president Andy Graves doesn’t have an easy job. Graves has been president of the world’s largest boatbuilding operation since 2009, shortly after the recession hit, and is responsible for 16 brands in the Recreational Boat Group, Boston Whaler Group, Freshwater Boat Group and European Boat Group. Graves joined Brunswick in 2005 as president of the Freshwater Boat Group. Previously, he was president of the Dresser Flow Solutions business of Dresser Inc., a maker of valves and control solutions for the oil and gas industries. 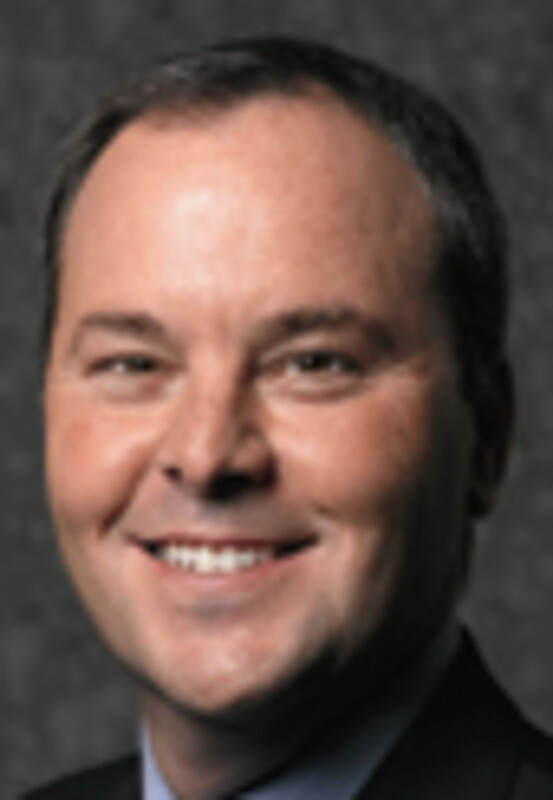 From 2001 to 2003 he was president and CEO of Federal Signal Corp., a publicly traded, Illinois-based company that designs and manufactures safety solutions for government, industrial and institutional customers. Before 2001, Graves held positions of increasing responsibility at CNH Global N.V. and FMC Corp. He holds a bachelor’s degree in metallurgical engineering from Purdue University and an M.B.A. from the University of Chicago. Brunswick Boat Group has had a busy year. All of the brands have undertaken an aggressive effort to focus on innovation and value, and three new models earned Innovation Awards at the Miami International Boat Show. There also have been management changes. Boston Whaler president Tim Schiek is the new president of Sea Ray, replacing Rob Parmentier, whose departure caught some dealers by surprise. The group also placed the Hatteras and Cabo brands up for sale and announced that the company is further consolidating yacht production by taking a Florida plant offline. Soundings Trade Only sat down with Graves to learn more about some of the changes and where the company is headed. Q: How have some of these big changes, like the plan to sell Hatteras and Cabo or further consolidation, gone over with the dealer network? Does there seem to be more uncertainty or are dealers taking these big changes in stride? A: Certainly when you make changes there’s a reason for people, particularly for our dealer body, to be a bit anxious. But I think as we’ve talked to all the dealer body … there’s not a lot of anxiety. They have a lot of confidence in what we’re doing and are greatly supportive of the business plans we have to drive Sea Ray, Meridian and our other brands forward. Q: Brunswick recently announced that it would suspend yacht production at its Sykes Creek facility in Merritt Island, Fla., and consolidate work at its Palm Coast, Fla., plant. Why did Brunswick take that action now? Are there any more closures in the works? A: For us, those are difficult decisions, but necessary ones. As we look at expected demand, what our capacity needs are, and the new model launches to be able to build out through the balance of this model year, the decision to launch a number of the new yachts in Palm Coast makes a lot of sense. As we’ve looked across the board at Sea Ray’s capacity, sportboats, cruisers, sport yachts and yachts, we have more than the ability to compete in a market that’s 2.5 times current industry global demand. And we’ve made no decision to sell our Sykes Street facility, so at least in the near term that’s a safety valve if additional capacity is required. 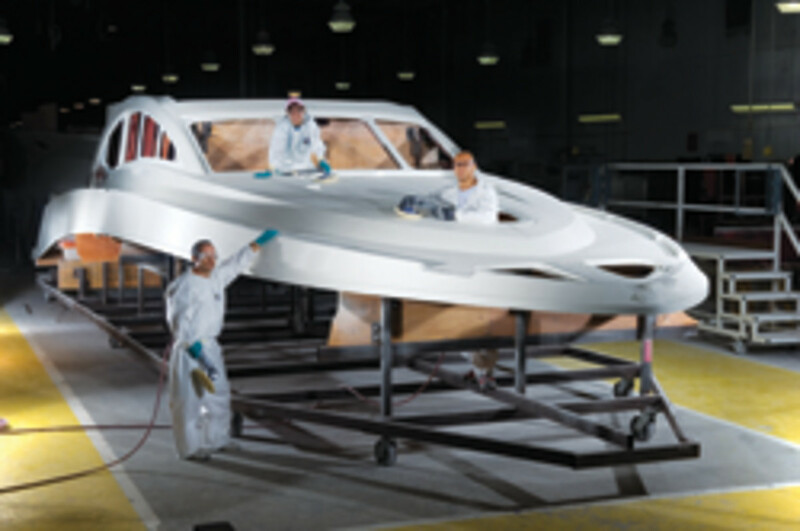 Q: In Merritt Island, 205 people built Sea Ray and Meridian models from 51 to 61 feet. That’s been the challenged size range. Does this give insight to your view of demand in this segment for 2013? A: The size range, 40 to 65 feet, [has] been significantly impacted post-recession. They did not recover last year. It’s our belief that we’re kicking along the bottom and that we’ll experience a steady recovery. We’re certainly hopeful we’ll see a stronger recovery than that. It’s not so much a 2013 issue, but as we project out over the next three and four years, we think if we have the ability to triple our production in the single facility, that’s sufficient enough to meet a large number of the scenarios you could project over the next three to five years. And then, I would say, if the markets rebounded beyond that we have capital investments that we could make to continue to increase output, as well. Q: So are there any other ideas in the works in terms of capacity, or do you think you have it right-sized now? A: Based on our current views of the marketplace, we think our capacity, particularly in our fiberglass lineup — Sea Ray, Bayliner, Boston Whaler, all our fiberglass products — is at appropriate capacity for the mid-term. Q: Where are you with the sale of Hatteras and Cabo? A: There’s a formal sales process that’s under way and there is significant interest in the company. I don’t have a date for when that would be finalized, but we’re in the midst of the sales process, and I guess the best thing to say is there is significant interest in Hatteras and Cabo. For the core dealership body across Brunswick, there are not a lot of dealers that represented Hatteras and Cabo, and Hatteras had largely moved to a direct sales model out of its yacht center in Fort Lauderdale, which I think makes sense for the very large yachts. There’s a small number of dealers in the U.S. and then around the world that support Cabo, so in terms of significance to most of our dealer body it doesn’t have a great deal of impact. The strategic synergies between Hatteras, Cabo and the balance of our businesses are not that great. They don’t sell Mercury engines due to the higher horsepower range required, they don’t exist in the same dealer body, and it’s a different type of production and sales process than the rest of our boat businesses. So it’s less of a strategic issue to us, and therefore the divestiture decision is really a financial decision. We’re able to redeploy those resources into our other businesses. So from a strategic perspective, it’s likely to benefit the dealers who represent the balance of our boat brands. Q: Is there a formal sale under way with one specific buyer? There has been a lot of speculation. A: No. We’ve solicited interested parties and are affording more detailed information, and there’s a timeline for information review, letters of interest and due diligence. We’re in the process now of taking the groups of interested parties and narrowing it down to a select few. But it’s moving down what I would call a traditional selling process where you solicit interest, you narrow the field, you allow more due diligence and information sharing and then go to a formal bid and closing process. You have a number of people who want to try to get a first shot or get ahead of the line … so there’s some of that going on. Suffice it to say there is a formal process, it’s under way and there are a number of interested parties. And that’s why I think you have a lot of noise around this. Q: A report that B. Riley analyst Jimmy Baker released following Miami had some pretty candid assessments of the challenges ahead for Brunswick — namely for the Sea Ray and Meridian brands. Can you discuss some of the challenges and how the brands are looking to address them? I don’t understand how he draws those conclusions, and I can tell you that categorically they’re untrue. I run the Boat Group business and I’m required to deliver financial returns to justify investments and to justify the ongoing business. And I have not allowed, nor do we ever consider Mercury’s performance, as part of that. We view the Boat Group as a standalone business and operate it that way. I’m not sure why he makes those comments. We never told him that, and fundamentally we have a pretty significant disagreement with his comments, at least on that side. We have reasons to own a Mercury and a boat group in that there are some synergies between them. But you have to differentiate that from the operating strategy that I’m accountable for and the operating strategy that [Mercury Marine president] Mark Schwabero is accountable for. I’m accountable to deliver on the boat group side as a standalone entity and don’t consider Mercury’s performance to augment our performance at all. Q: That same report mentioned some challenges ahead for Sea Ray and Meridian brands with market share, though he qualified that by saying the brands were on the right track with their road maps for new product and innovation. Can you speak to that? A: He said perhaps we’re “slightly behind certain competitors from cosmetic or innovation standpoint, but notes that some of the newest models have been well received, which gives us confidence that the new product level will ramp up.” I think, as broad as Sea Ray is, inclusive of Meridian, we’re always watching where parts of the lineup could be weak versus the competition or where we have opportunities to improve and opportunities to take advantage of competitors. That’s clearly how we do our new-product development, and we’re attacking those pieces, whether it’s with the new 510 in the bigger boats or the two new cruisers, the 350 Sundancer and the Venture 370, a number of innovations on the SLX models, sundecks at the 220 and the 240 level, including outboard models which are new for us. And then going into the jetboat market. I think we have a very robust plan that’s grounded in consumer insights that take a look at some of the trends we’ve seen post-recession and how we think they’re going to play out in the future. The first wave of those products has been released and is now out on the market this winter and will follow in the next two model years at a similar pace in terms of product-development activity at Sea Ray. Q: I spoke with [Brunswick engineering manager] Ron Berman in Miami, who said this pace of new-product releases would continue. How do you keep up that momentum? A: What you’re seeing today and what Ron is commenting on is 18 months in the making. We have, for the past year and a half, been investing more in our product development, particularly as we reactivate that entire organization post-recession. Beginning in 2011, we started to invest much more heavily. We completed a large amount of the hiring we needed, both tooling engineers and design engineers. During that period we also did some very aggressive consumer research to make sure we have a solid understanding of where the market is moving, and then the development process leads us into specific programs, the first round of which you’re seeing right now. This winter we launched seven new boats. The pace of product development will continue over the next two years and deliver roughly the same amount of products going forward. Q: Do you envision this pace beyond the next two years? A: We have very firm plans for the next two years, and we have a longer-term portfolio planned for years three and four. I don’t see us slowing down at all. Q: Is there a break point where you feel you might be spreading yourself too thin? Or is the customer demanding that much variation on new products? A: I do think the marketplace wants more and more innovation and is looking for improved boats at lower costs. They want more, they want it better, they want it faster and they want it cheaper. We’ve got to step up and meet that challenge. We looked a lot at the constraints and barriers we had to increasing our rate of development and reducing the cycle times of product development. That resulted in significant improvements to allow us to do what we’re doing. I have confidence in our group that Ron Berman leads that we’ll continue to make those improvements so the pace of development can continue to quicken, and so the product innovation is at a level beyond what we’ve seen historically. Absolutely I think that approach is driven by consumer desires. One of the keys to making our industry successful is to continue to bring out innovation and to manage the cost side of it so that we bring more people into boating, and so we provide a very strong reason for existing boaters to buy new boats. 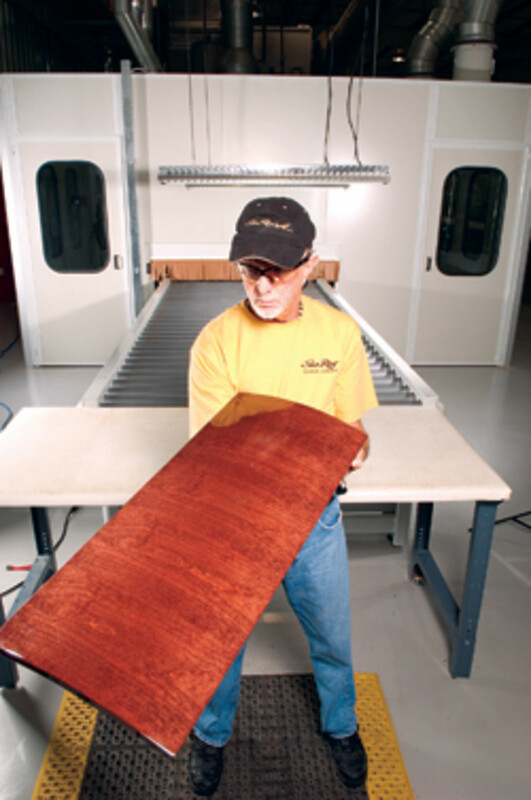 Q: How do you speed up production time and reduce costs while maintaining quality? The Bayliner Element is around $12,000 without options, and around $17,000 fully loaded. How were you able to achieve that? A: We’re using lean manufacturing processes and Six Sigma thinking to improve and speed the rate of product development. So we’re focusing on taking out non-value-added costs and non-value-added cycle times, and they’re significant in almost all work processes. We’re also looking at changing our work processes. In some cases it’s as easy as taking processes that were sequential in nature and making them parallel or simultaneous. We can actually do less work, make processes simultaneous and reduce development and production times without challenging the robustness of the product. We don’t think we have to forgo quality and innovation and design to take down cycle times. I think the Element is a great example of how we’re trying to reinvent the entry-level boat. That was the team’s challenge. It was steeped in consumer insight to determine what resonates with consumers on that size boat. Things like safety, stability, ease of operation, storage, those were all things that were important to consumers and also resonated with the Bayliner brand. We challenged the team to come out with a boat that could easily fit a family of six that was 25 percent cheaper than the other boats like that out on the market, and meet those consumer requirements, and also design it so it allows for a reasonable amount of profitability for us and the dealer. They stepped up to the challenge. They were able to come up with a unique hull design and layout, and also design in ways that it could be manufactured at a lower cost. The boat was launched at the New York Boat Show in January, and since then it’s been at other boat shows. It’s been wonderfully received by consumers. We’re challenging ourselves to speed the ramp-up and increase the production times because we’ve had very strong consumer interest. It’s well styled, very functional and it’s a tremendous value. Q: Can you talk about the factory in Brazil? Avoiding the heavy import taxes on boats has got to be a huge advantage. How do you see things progressing there? Is there a real recreational boating consumer in that country or is the industry still in development? A: We inaugurated our new facility last November. It’s a beautiful, state-of-the-art, purpose-built boat-manufacturing site in the southern states of Brazil. We’ve delivered our first production boats to consumers early this year. So we are up and running and building both Bayliner and Sea Ray cruisers right now. We’re very encouraged by consumer response to our brands and we are encouraged by the dealer response to us. We think we’ve aligned ourselves with the strongest dealer body now in the country, and that’s important for us, but it also tells us that dealers have a lot of confidence in our business plan and in our products to place their bets with us. We’re still committed to build about a $50-million business over the next couple of years in Brazil with a targeted focus on 25- to 40-foot cruisers. We’ve seen evidence, having been more aggressively involved in the market for the last two years, that there is a very strong boating culture in Brazil. There is an active outdoor lifestyle that supports boating, sunning, cruising, socializing and water sports. The Brazilians enjoy the water and enjoy being outside. Boating is a natural activity for them, so it resonates very well. There is a growing middle class that will be further strengthened by two big events they’re hosting in the next couple of years, the World Cup and the Olympics. We should see more investment and economic activity around that, which should allow the boating community to grow. It’s very difficult to export into Brazil, given the logistics costs, both with freight and duty, and the taxes locally. I think the Brazilian market is probably going to be dominated by those who manufacture in-country. Q: You guys have strong dealer networks. What do you think about some of the builders moving to factory-direct models? A: In our case, in markets 65 feet and below, we’re committed to the dealer model because we think it delivers the best consumer experience. But that requires that you have a capable and strong dealer body that can deliver the best experience in pre-purchase and purchase, and then in after-sales and service. It requires that dealers have the financial wherewithal to carry boats in stock and floorplan the boats. We have both of those. And we have BAC, Brunswick Acceptance Corp., our captive wholesale financing subsidiary. We think that’s the best route overall in satisfying consumer needs and delivering the most value to the consumer.